E-Funds- A quick and easy way to pay your child's lunch fee online! Be sure to check out the parent user guide and follow the instructions to set up your new account. The family number is your phone number on file with the school, including area code. 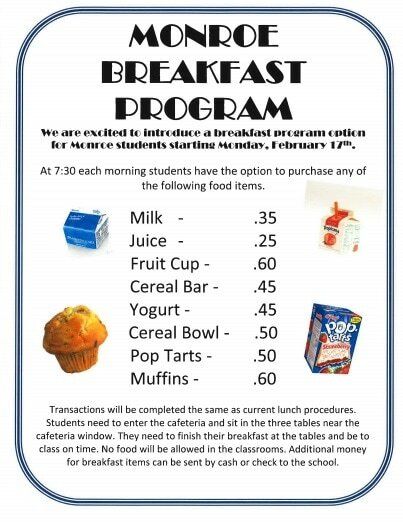 You may also pay lunch or registration fees via a mobile phone by clicking on this link https://payments.efundsforschools.com/v3/districts/56057​ but you must be registered at E-Funds first! ​.